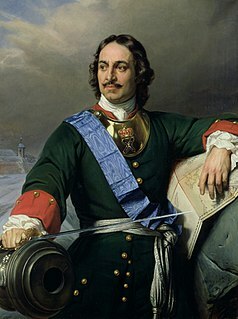 Feodor III Alexeyevich was the Tsar of Russia between 1676 and 1682. 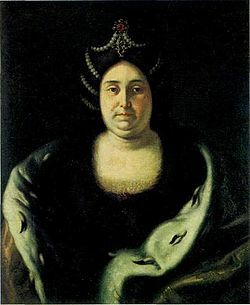 Natalya Kirillovna Naryshkina was the Tsaritsa of Russia from 1671–1676 as the second spouse of Tsar Alexis I of Russia, and regent of Russia as the mother of Tsar Peter I of Russia in 1682. Tsarevna Marfa Alekseyevna of Russia was a Russian princess, daughter of Tsar Alexis of Russia and Maria Miloslavskaya, sister of Tsar Feodor III of Russia and Tsar Ivan V of Russia and half-sister of Tsar Peter the Great. She participated in the rebellion of her sister Sophia against Tsar Peter in 1698, and was therefore imprisoned in a convent. She is an orthodox saint. 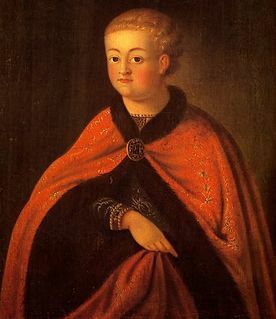 Tsarevich Alexei Alexeyevich was the second son and heir of Tsar Alexis of Russia and Maria Miloslavskaya, brother of Tsar Feodor III, Tsar Ivan V, and Tsarevna Sophia and half-brother of Tsar Peter the Great. 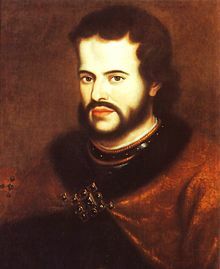 He died at 15 before he had a chance to succeed to the throne. Tsarevna Catherine Alekseyevna was the fifth daughter of Tsar Alexis of Russia and Maria Miloslavskaya, sister of Tsar Feodor III of Russia and Tsar Ivan V of Russia and half-sister of Tsar Peter the Great.